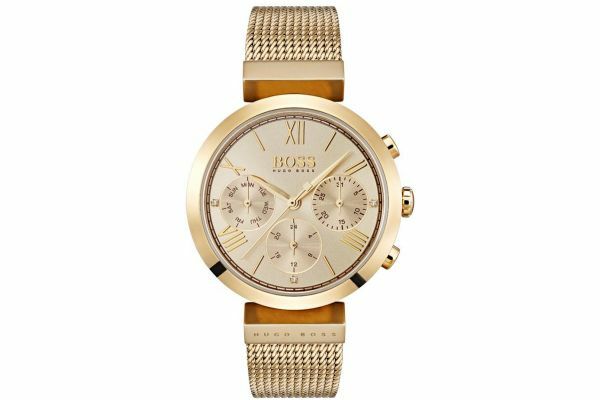 Exuding elegance, this gorgeous watch presents with a dramatic 34mm gold plated stainless steel case and bezel in which houses a spectacular gold dial. 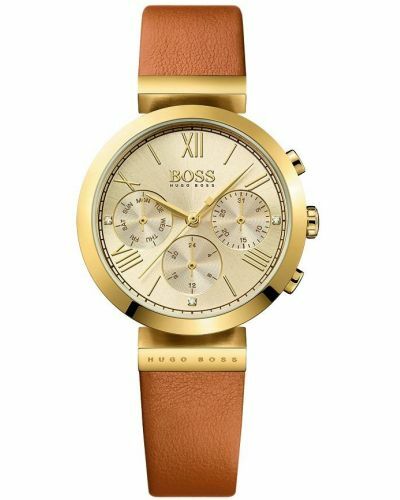 The beautiful dial is adorned with gold hour markers and crystals set intermittently. Elegant gold dauphine hands further enhance the luxurious aesthetic of this watch. Three sub-dials allow for the day, date and a 24 Hour clock to be displayed. 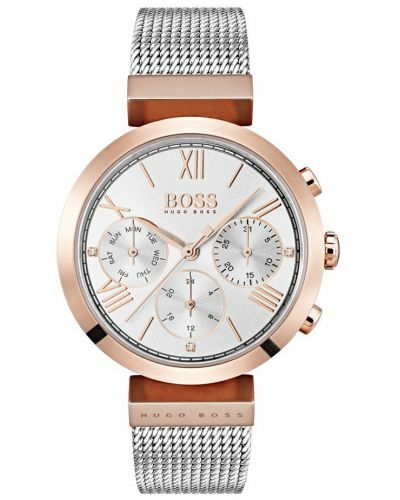 With a sophisticated gold plated stainless steel Milanese style mesh strap and secured by a fold over closure; the Classic Sport watch is the perfect timepiece for both casual and formal attire. Powered by Quartz movement and protective mineral glass, this classic watch is water resistant up to 30 meters and comes complete with a 2 year guarantee. 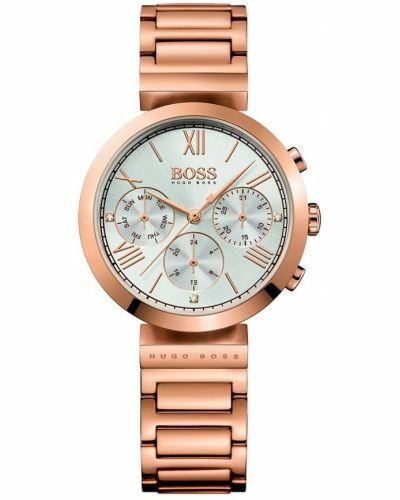 For us to size your new Hugo Boss Classic Sport watch as accurately as possible, please take a look at our downloadable Watch Sizing Guide.